My standard dinner rotation has been feeling stale. I enjoy being in the kitchen, I don’t enjoy being bored. An infusion of new flavors and new skills is long overdue. Lima Bean’s birthday dinner out reminded me that we all enjoy Indian food. I was sure I had at least one cookbook to start with, so off I went! 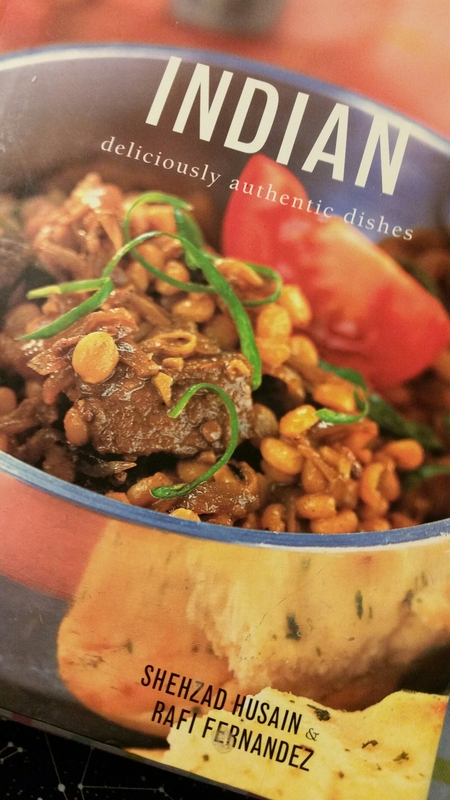 I am using Indian: deliciously authentic dishes by Shehzad Husain and Rafi Fernandez, published by Hermes House. I cannot speak to the authenticity at all, just the fact that most of the recipes look good to me. When I flipped through, almost all of them were already starred, proof of my long-ago intentions to start cooking. My first step was to beef up my pantry. 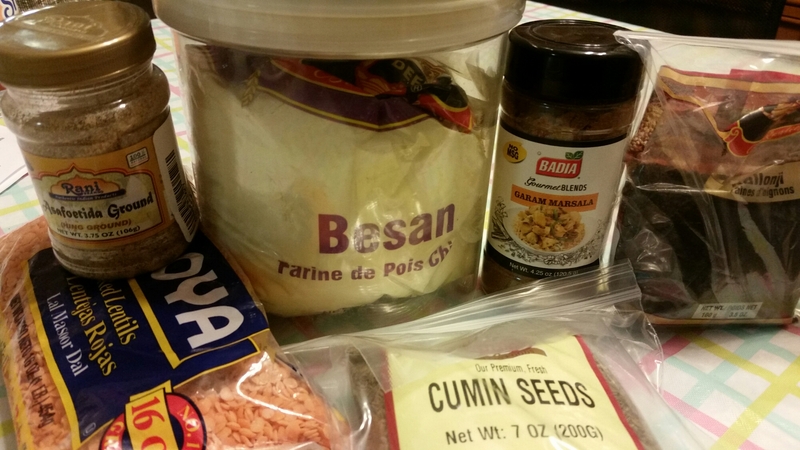 I made a list of spices, flours, and seeds and purchased a few to get started. I imagine I’ll be adding all summer long. No need to buy it all at once. I also don’t need to cook it all at once. The Kettle Slayer gently informed me he wasn’t sure how much Indian food he could comfortably eat. No worries. My goal in June is to try five new recipes. About once a week I’ll dive into this world and see what I can learn. 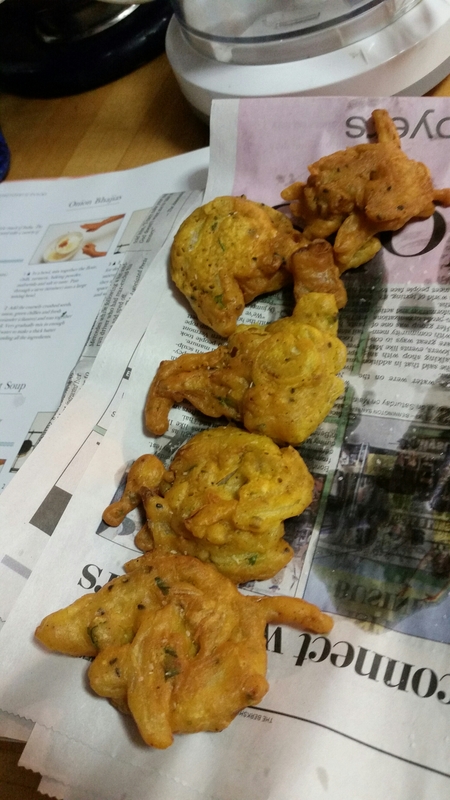 Tonight we made Onion Bhajias. 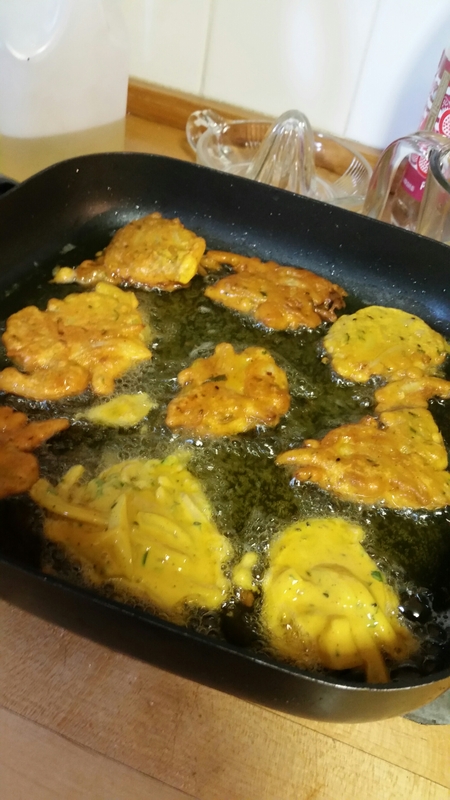 From the recipe, these seemed similar to the pakoras we live so much at the restaurant. The internet tells me they are essentially the same snack, named differently in different regions. 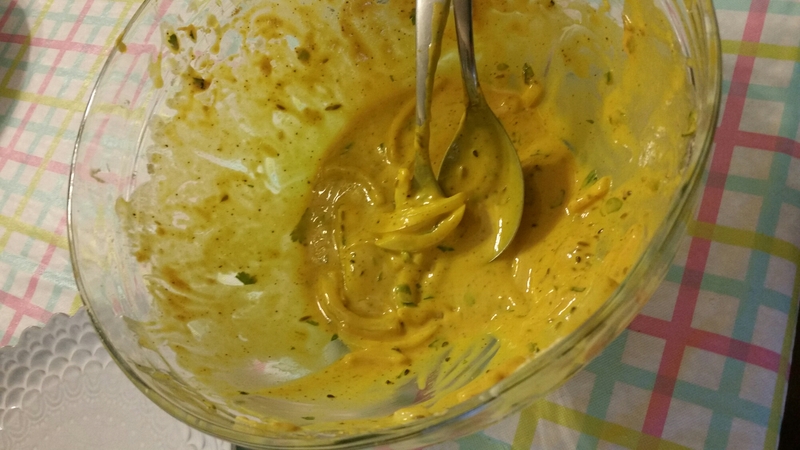 I was nervous about the besan (chickpea flour) as I am not a fan of the musty, bean-y taste I often end up with from the grocery store variety available to me. For my summer adventure I ordered Deep brand online. This was a completely different experience – light, not bean-y, and just delicious! Now I need to learn how to make some chutneys to go with these! Condiments are next on my list. Who’s coming to dinner?